Do you know what your purpose in life is? If so, how did you figure that out? Why did you assume that that is in fact what you were brought on earth to achieve or seize? Have you ever thought that maybe, just maybe, we exist merely because of our parents not because there was a particular purpose tied to our souls when we were born? Have you ever thought that maybe, just maybe, if we have a purpose it would be quite obvious what it is? Why do we have to figure it out? Why do we have to think about it first? And again, if you have figured it out, how did you get there? We hear people saying that their purpose is to bring about change in society, some say that is it to make their parents happy and some say it’s to help people whenever they are in need of such. How? How is that your purpose? How many hours do you have to sit down and think for you to conclude that your purpose is to change the world or help people or to do anything for that matter? So far, this post is mainly made up of rhetorical questions but the point here is that, I personally do not think that we have any sort of purpose in life. Why? Because it is not something we can be 100% sure of and because having the idea that we have a purpose ultimately puts so much unnecessary pressure on us. Thinking that we have a certain purpose in life results in us having so many expectations of ourselves that could potentially bring us down when we realise that we are doing the bare minimum. Instead of trying to figure out what purpose we have in life, we should probably make lists of moments and events we are looking forward to in this lifetime because that’s probably what we were brought on earth to do – to make lists of events that will happen soon like waking up tomorrow to have breakfast in that new restaurant in town or even waking up to a text from your partner, events that will happen in the near future like adopting a dog, cat, having a baby of your own or car and events that will happen later in future like officially launching your business. Life is complicated enough as it is and going through the stress of discovering what our purpose in life is probably isn’t really worth it. Trying to positively change the world, inspire, motivate and help people is something we naturally do, making our parents happy is hard to maintain but also easy to achieve. Everything and anything you might have thought is your purpose probably is if you choose to still think like that but if you have changed your way of thinking then let’s take some time to think about what we look forward to and let life unfold on its own. To each his own. I personally don’t think we were just put here to do nothing, I think we all have a purpose however small or great it is. To me, it’s what keeps you going. A type of feeling like yes I love doing this and it also changes you and you grow from it. I don’t think that’s natural for everyone, not everyone has that same gift of doing something. Also, won’t making lists be the same? by putting pressure on you for completing the tasks on the list. Hope all this makes sense and I’m not just babbling lol You post did make me stop and think though, but that’s just my two cents and I respect yours as well. So many people get hung up on that question. I agree totally with you. I used to drive myself crazy trying to figure out what my purpose in life is. Now, I live each day as it is. That is my purpose. To live. As each moment is. To trust in my Buddha nature and the basic goodness in all others. Great post! I think I agree with this. People find it so easy to get caught up on a purpose that sometimes they forget to spread their wings. This is beautiful. I feel like those who have chosen what their purpose is are those who have went with the flow. Leading with the heart is so beautiful! It can take You to beautiful places. I think deciding on our purpose only limits us! That’s like saying I don’t need to be a great mother because I have a job helping the homeless. Why limit ourselves to a single purpose? I’m happy I came across this. 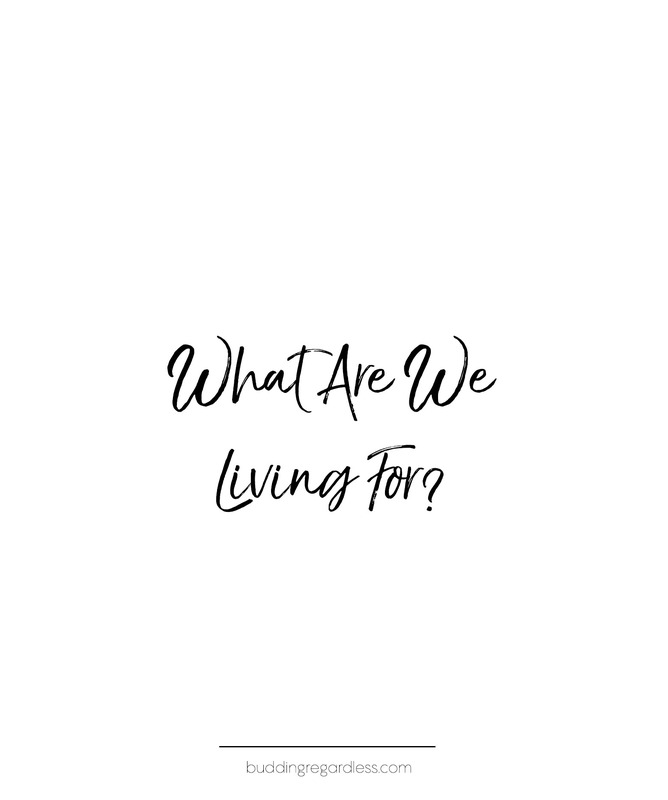 I think that this is a question that comes to us every time we question our purpose in life and I don’t think there is a a definite answer but I believe that we choose or decide what to live for. And sometimes yes we choose to live to pursue our parents dreams and sometimes we choose to pursue our own. This is really a slippery slope. You are making so much sense sis💕. I really love how you see things, thank you for this enlightenment 🌼!